Motorola Rezound Vibrant V 3D G1. The names are scarily realistic and hilarious. 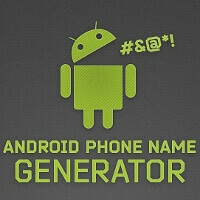 Hit the source link below to get your own selection of absurd Android titles that might one day become your smartphone. are you like some kind of pokemon? maybe he was just real proud of his *** pride and had to make a post about it asap so his *** pride avatar would be there for all to see. I could care less about the orientation of anybody here... their business, not mine. If they want to have an avatar that shouts it to the world, that is none of my business either as long as I am not being told that I can not have an avatar that also represents something I like to share (such as... my faith, my culture, my political affiliation, whatever...), and as long as it is not something that is hateful. What would really upset me is if someone is told that they can not have a reasonable avatar of their choosing, while someone else gets to have an equally reasonable avatar that shows some other equivalent aspect of themselves. Case-in-point: at another forum (not for mobile tech... actually it was a forum for Mazda owners), a fellow user had an avatar with a symbol from their religion... I had nothing against that myself, and it gave me an idea... after complimenting that dude on his avatar selection, I selected my own avatar from the symbolism of my own faith. You guessed it... mine was taken down because it was considered to be offensive, controversial, and threatening. I went along with it and did not complain for long, so I eventually picked the avatar I use today, but it still let me know where I stood. haha... love it! Galactic and Galaxy in the same name... Universal and Galactic in the same name... S2 and S in the same name... and tack a 4G on the end of it... wonderfully silly!